Sometimes, no matter how hard we try, we overdo it and our bodies feel the pain. And believe me, in those moments I KNOW how it can feel easier to just grab what’s convenient. Some premade, filler-laden, white flour, sugary treat that will sit in your belly like a rock, but hold you over until you “get your energy back” later in the day. One way to give your body an energetic and clean JUMPSTART is by chugging down a delicious glass of Detoxifying Green Juice. Green juice condenses several servings of fruits and vegetables into a single, easy-to-consume drink. 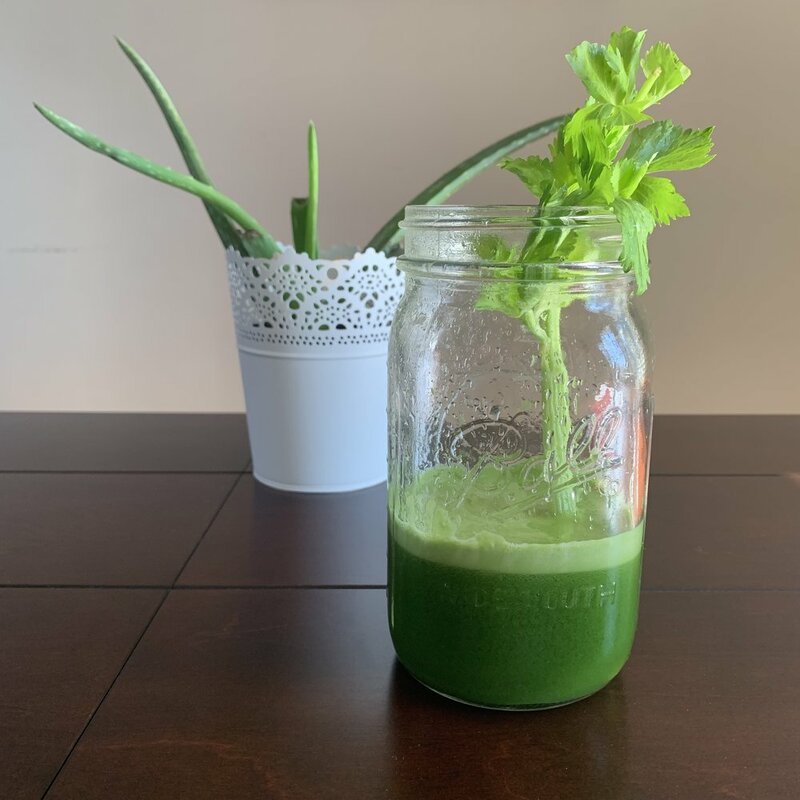 Because so much is packed into one drink, green juices are incredibly nutrient-dense and have an impressive list of health benefits, including alkalizing the body, improving gut health, helping your liver to detox your body, and supporting a healthy immune system. Juice all together. Enjoy chilled! You're awesome for staying till the end. Sign up for my newsletter below.